Are all of your Facebook friends suddenly in North Dakota? Here's why. If you woke up on Monday morning and noticed that many of your Facebook friends had suddenly traveled to Standing Rock, North Dakota, you aren't alone. Your friends haven't actually gone up north, though -- rather, they are checking in as an act of solidarity with demonstrators protesting the Dakota Access Pipeline construction project. 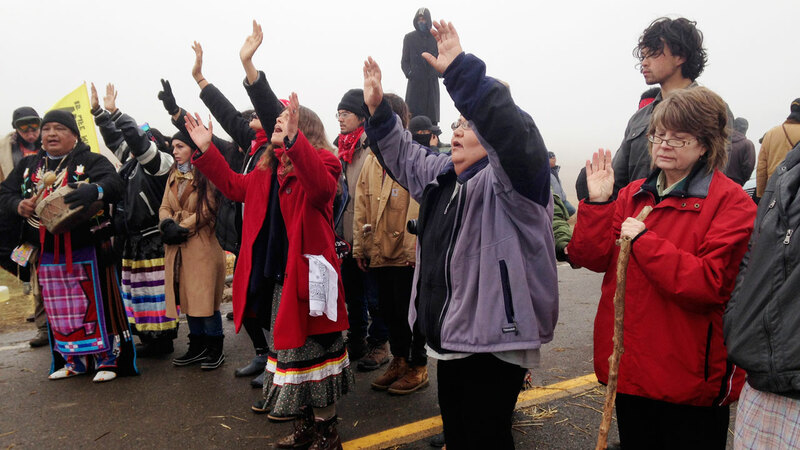 Following two days of confrontations with law enforcement, about a hundred people prayed at the barricade in chilly, cloudy weather in southern North Dakota. According to a rumor going going around on social media (that we have not yet been able to independently verify), police are attempting to use social media posts to identify protesters who may have been involved in the destruction of construction equipment as part of a demonstration against the project last week. Consequently, others who oppose to project have flooded Facebook with false posts in an attempt to hinder police efforts.